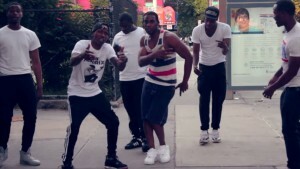 Last summer, 2 Milly and Hoolies introduced themselves with their music visual for “Milly Rock.” While the track took some time generate attention throughout the year, G.O.O.D. Music’s own Travi$ Scott brought them out for a live performance on the Summer Jam stage last month. Today, the popular dance track gets a remix from their fellow Bed-Stuy neighborhood street cat, Maino – which is somewhat baffling that it hasn’t received revisions this summer. After you watch the visual above, look for the track to appear on the troublemaker’s forthcoming King of Brooklyn 3 mixtape in August.